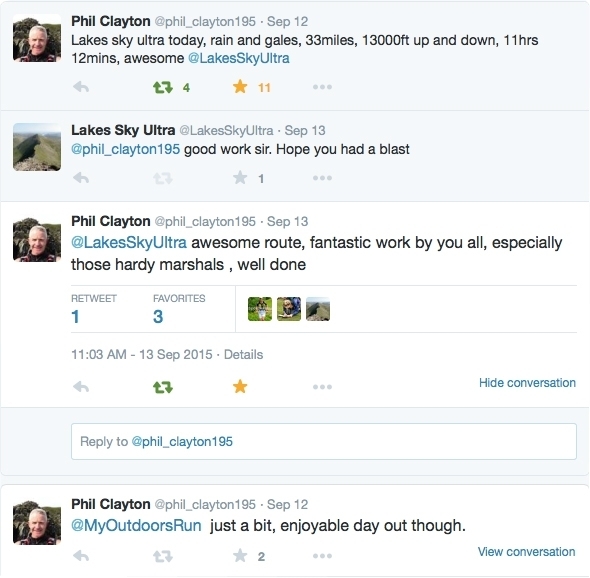 We've received plenty of post race social media posts, feedback and online articles about the race. 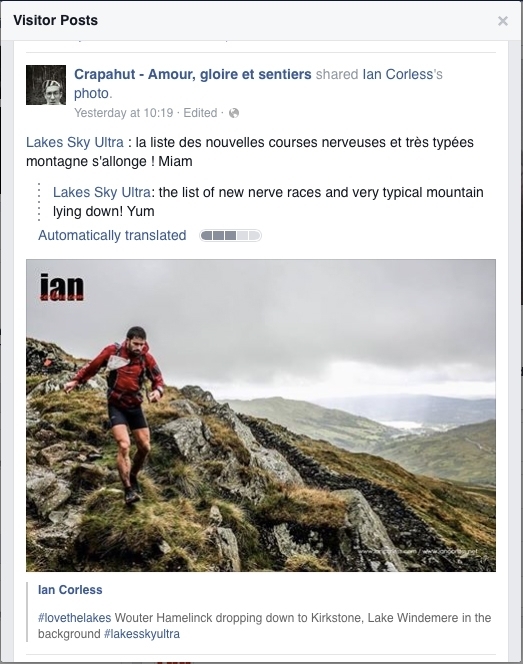 You'll find it all here in this news post. 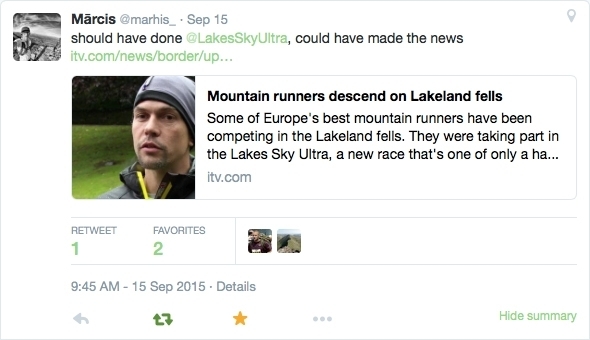 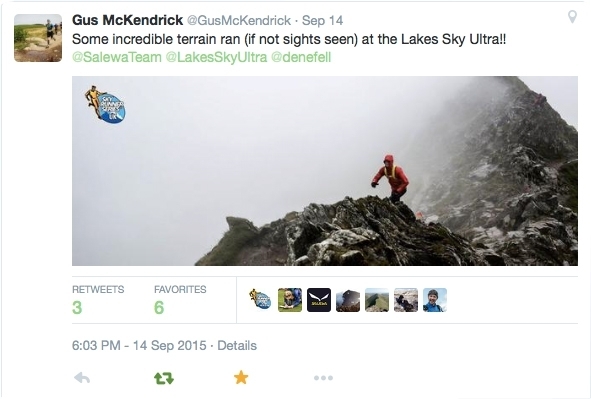 The True Mountain Lakes Sky Ultra 2015 official film. 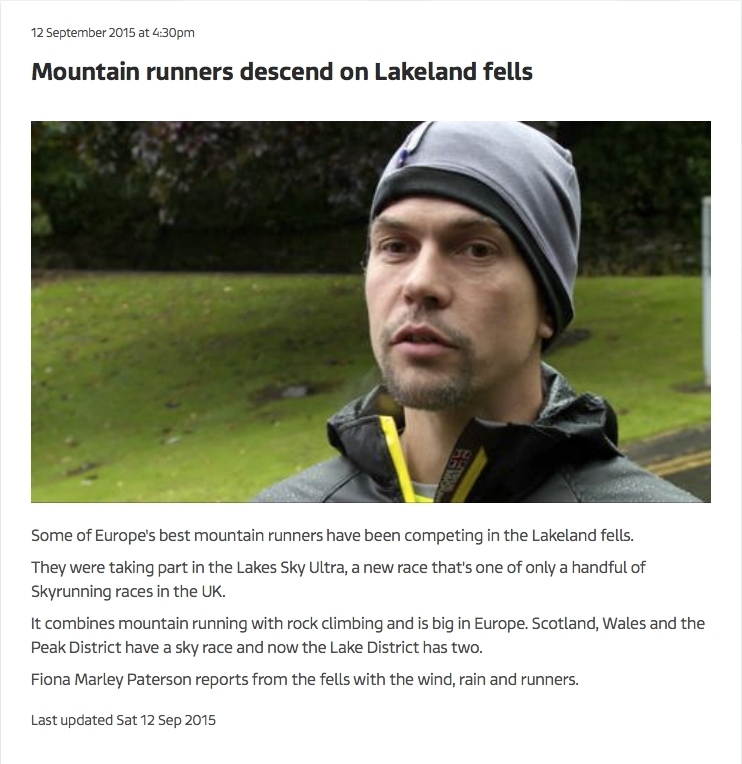 Mike Robinson, 1st Male Vet & 5th place overall LSU 2015, 'First of all thanks for staging such a fantastic event and having the courage to sticking with the full course with the conditions thrown at us. 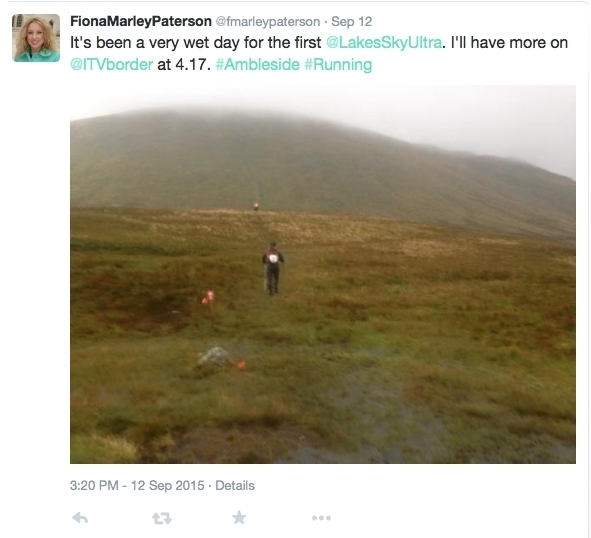 Many other organisers would have bottled it and opted for the short course. 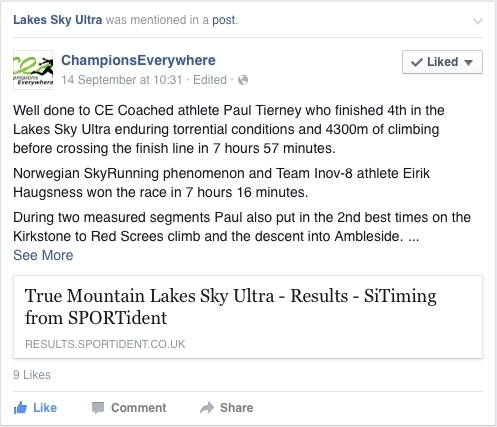 The route was tough and challenging, well thought out and not at all contrived. 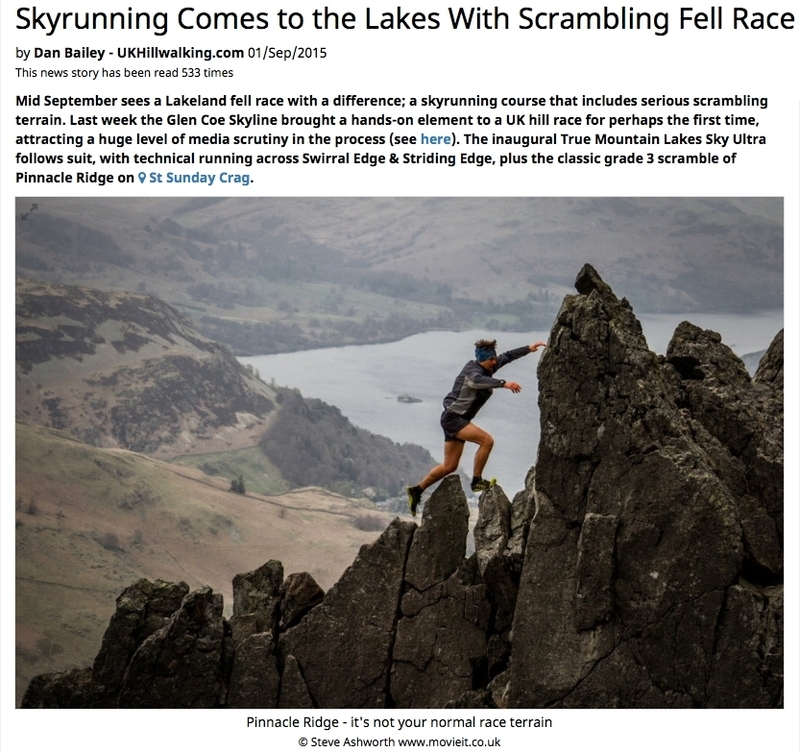 You made the right decision about missing out Pinnacle Ridge, it didn't detract from the race and it wasn't worth the risk. 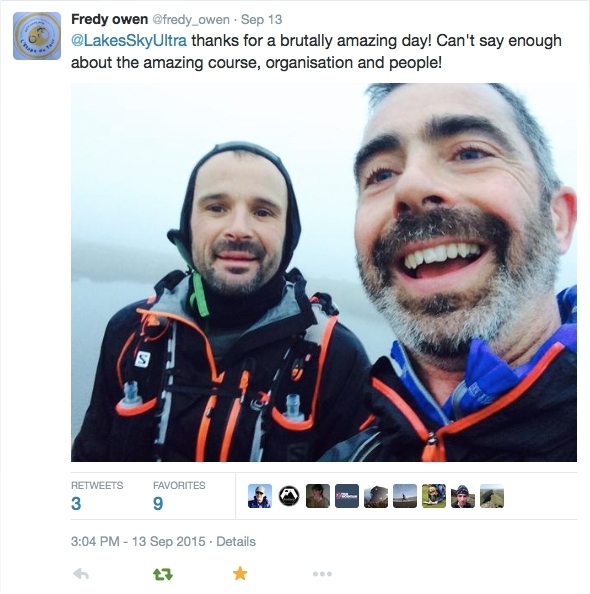 It was a great surprise to receive the prize, it's a great looking jacket and I'm very grateful. 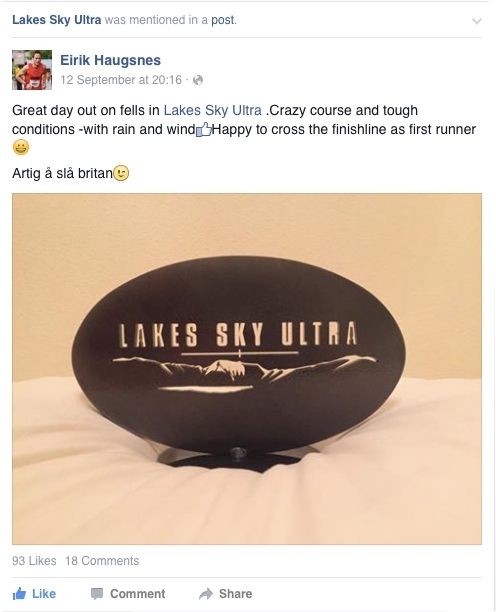 Good luck with future events. 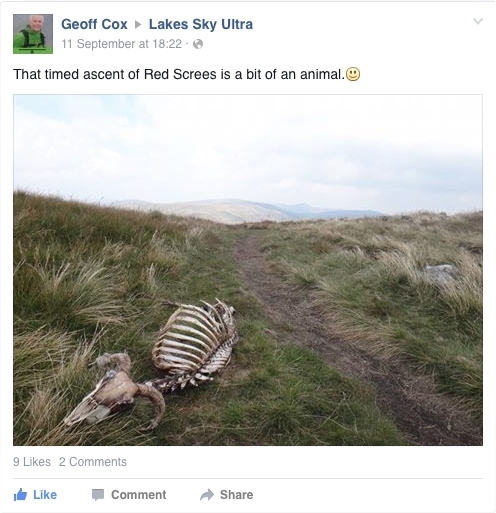 http://www.grough.co.uk/magazine/2015/08/30/bring-...- Bring your Cow Bells! 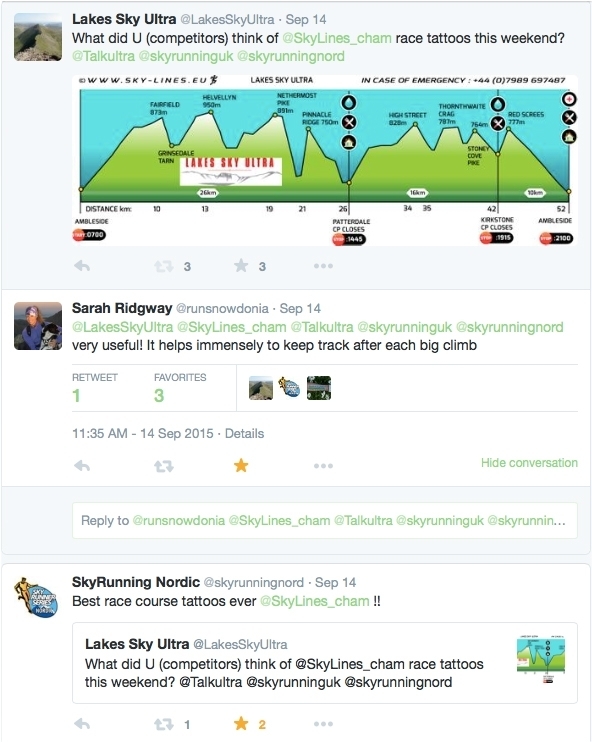 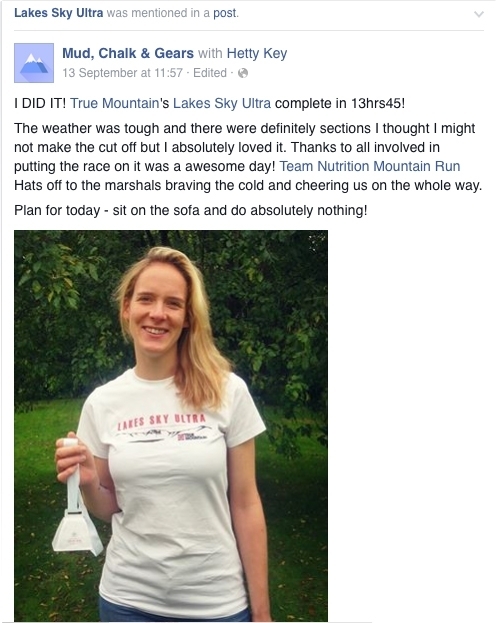 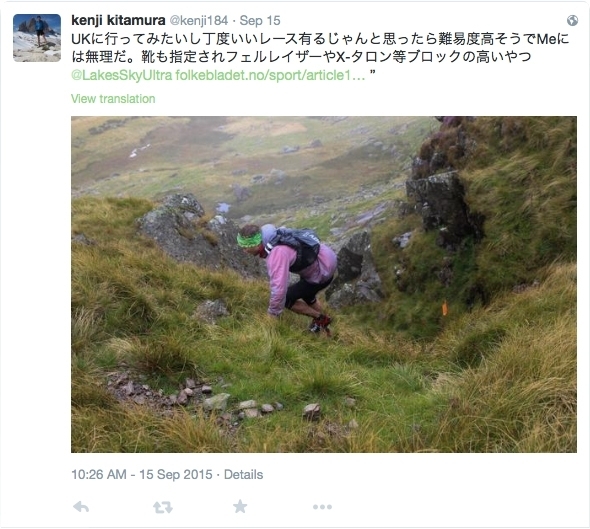 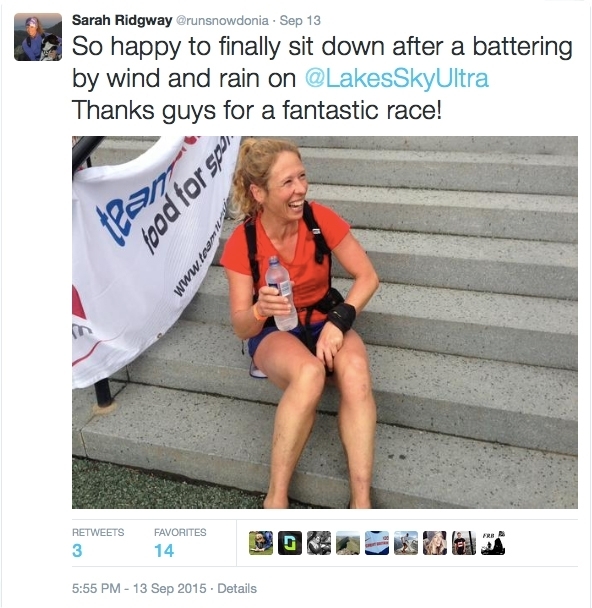 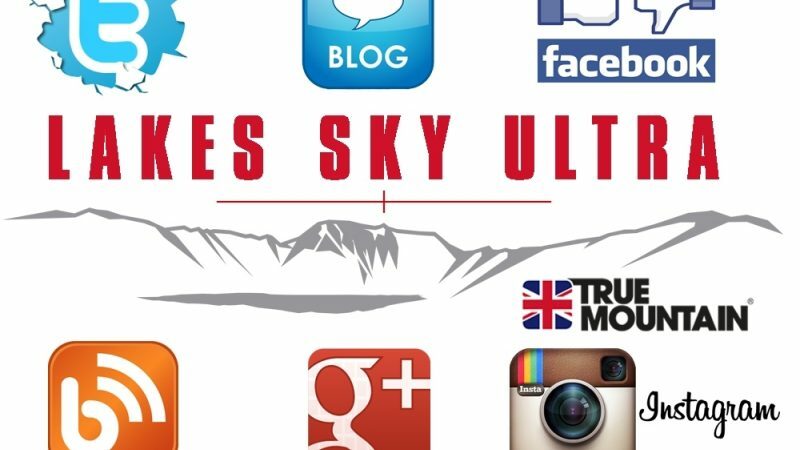 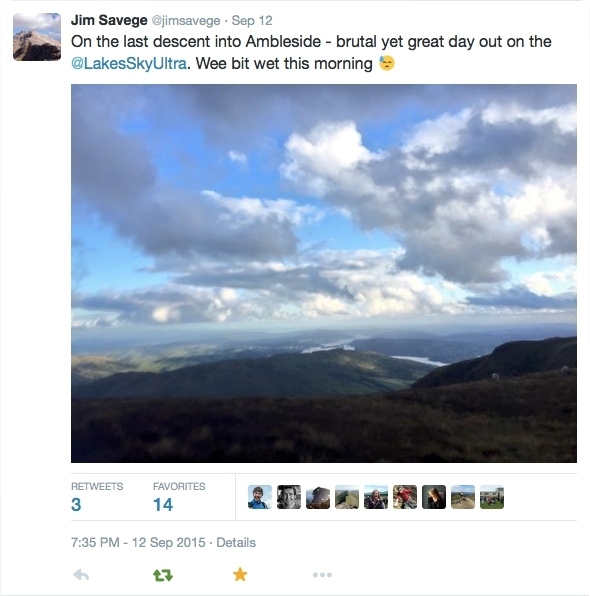 True Mountain Lakes Sky Ultra - Race Directors report.